The Haas Frank Stiff Brush is the perfect brush to remove unwanted hair from your brushes after grooming! It also works well to remove hair from Velcro, saddle pads, & underside of blankets. This is a must-have in your cleaning box. Perfect brush to remove unwanted hair from your brushes after grooming! It also works well to remove hair from Velcro, saddle pads, & underside of blankets. 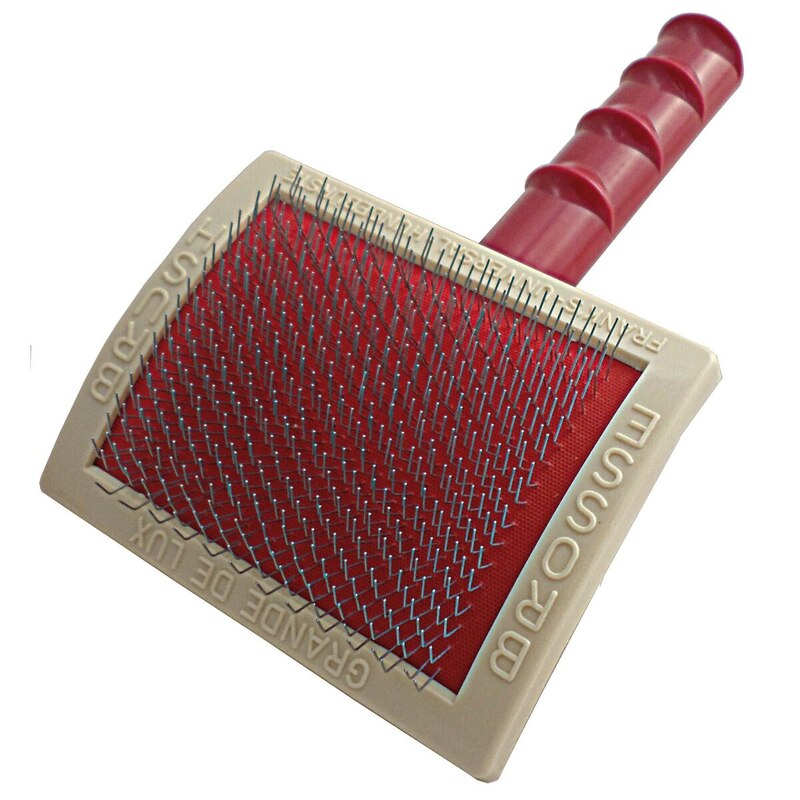 Haas Frank Brush is rated 5.0 out of 5 by 1. Rated 5 out of 5 by Flinger85 from Handy for the not as sensitive equine too I use this brush on the flaky itchy spots on my haflinger, he absolutely loves it, it helps pull all the flakes out off his skin . Not sure the more sensitive horse would like it as much. Also great for effectively but gently cleaning your bristle brushes!